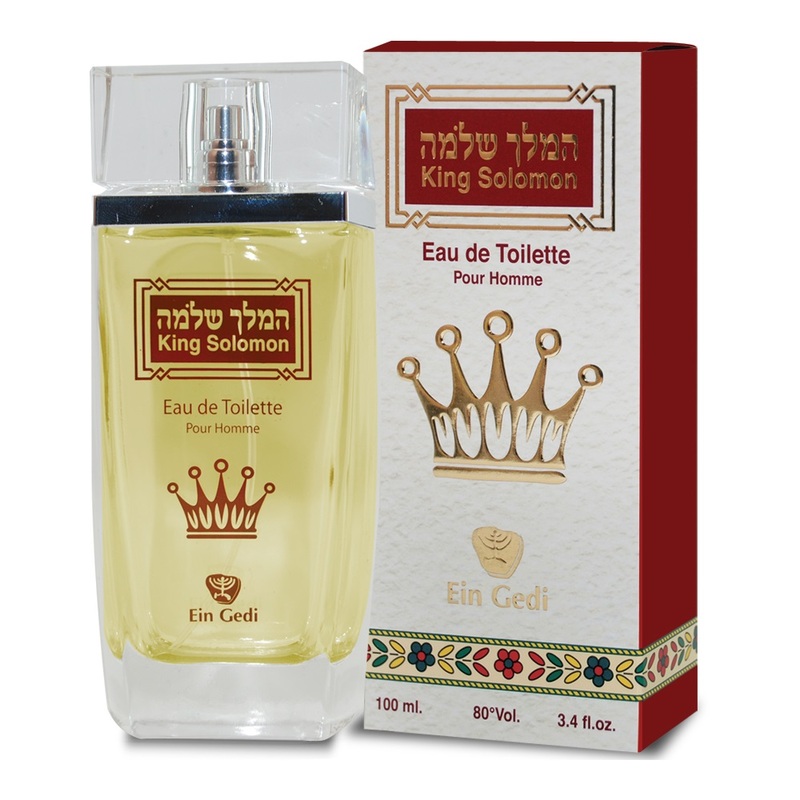 A biblical delight of a perfume for men is King Solomon -Eau de Toilette, a parfum made of the holy Land's indigenous plants, resulting in a confident spicy fresh smell. King Solomon -Eau de Toilette is a unique parfum of the time of King Solomon. Its delightfully fresh, spicy scent is the beautiful combination of indigenous Israeli flowers and plants to create a perfume that inspires the senses and brings you back to the time of King Solomon and the royal line of David. A wonderful choice for men, it makes a good gift as well as a unique choice for your own adornment.